Winner's Choice Giveaway - Recipes That Crock! Hello Crock Posse! We are having a MEGA Winner’s Choice Giveaway with THREE ways to enter. See below for all the ways you can enter to win. Three total winners will be randomly selected from entries on each platform- one winner each from YouTube, Instagram and Facebook. You can enter on one or more platform. It is completely up to you. 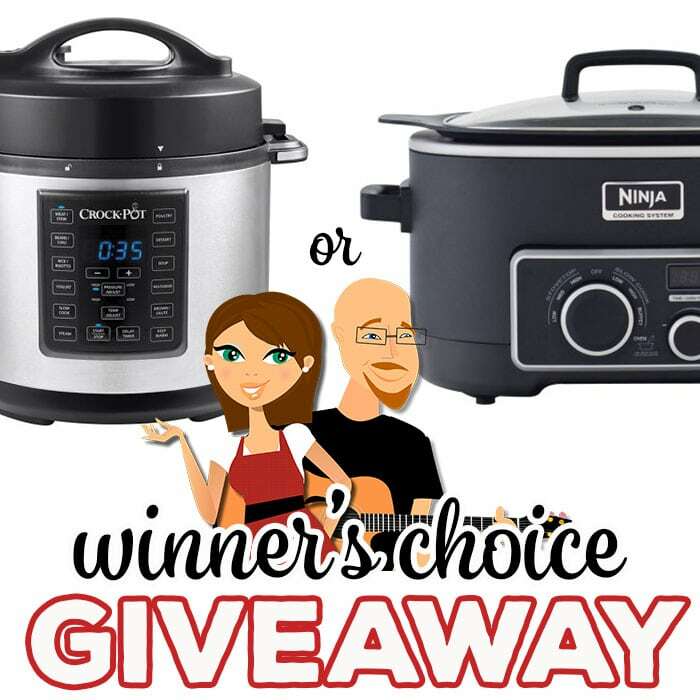 Winner will have their choice of a Crock Pot Express Pressure Cooker OR 3 in 1 Ninja Cooking System to be shipped to a Continental U. S. address. Contest is solely sponsored by Recipes That Crock and is not associated with YouTube, Instagram or Facebook. Contest ends on April 6, 2018 at 11:59 PM (EDT). Winners announced on the April 8, 2018 podcast and contacted with instructions on how to collect their prize. Be a Subscriber on YouTube. Comment on THIS Podcast Video and let us know your favorite dish to make in your slow cooker. Comment on This Photo and let us know your favorite dish to make in your slow cooker. Comment on This Post and let us know your favorite dish to make in your slow cooker. Congrats to Facebook Group Winner Lorie Stephens, YouTube Winner Angie Collins and Instagram Winner Kevin Mc! I love me a good pot roast!